For more than 25 years, the law firm of Negem & Worthington has represented individuals and families in Tyler and across East Texas in a range of personal injury and wrongful death claims, including automobile and commercial vehicle accidents, oilfield injuries and incidents of toxic exposure. Our attorneys have the experience to handle claims involving serious harm such as spinal cord and traumatic brain injury. We also represent clients in certain commercial litigation matters. With experience handling thousands of claims, our attorneys are not afraid to go up against insurance companies or large corporate adversaries to ensure that you recover for your injuries or the loss of a loved one. Each of our lawyers grew up in Texas, giving us an in-depth understanding of the unique issues that are important to our neighbors who live and work in this region. We have helped a variety of injury victims recover compensation for the damages they have suffered due to the negligent or wrongful acts of another. Additionally, we represent clients in complicated toxic exposure cases where we use expert witnesses to prove that their illness was caused by the defendant manufacturer or corporation’s negligence. Our attorneys also handle mesothelioma claims and help victims recover damages from defendants or special compensation funds. If you have suffered any type of injury due to the negligence or reckless actions of another person or company, you need the assistance of an East Texas personal injury attorney. Our personal injury lawyers are dedicated to helping our clients overcome devastating physical, emotional, and financial losses. 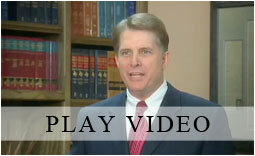 Whether your case ends in negotiations or at trial, we will help you obtain the maximum recovery you are entitled to. Our attorneys work with businesses to settle or litigate a variety of disputes stemming from contracts and insurance policies. We also represent clients in arbitration, a process less formal than trial, where one or more neutral parties make a ruling based on evidence. Depending on the terms of the contract involved, your attorneys’ fees may be reimbursed by the other party if you are successful in your arbitration claim. We represent businesses in intellectual property cases such as patent infringement claims. We use our knowledge to establish that another company or individual unlawfully used your patented product or method and then pursue an injunction to stop them as well as demand damages to compensate you. 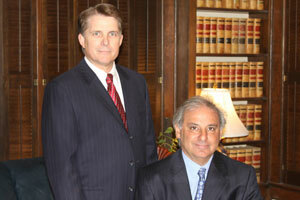 The Tyler, TX law firm of Negem & Worthington is committed to serving our clients. We answer calls and emails 24 hours a day. If you or a loved one has suffered an injury or is involved in a contract dispute, contact our tenacious personal injury attorneys today for a free case review. Call 903-525-6333 or contact us online.